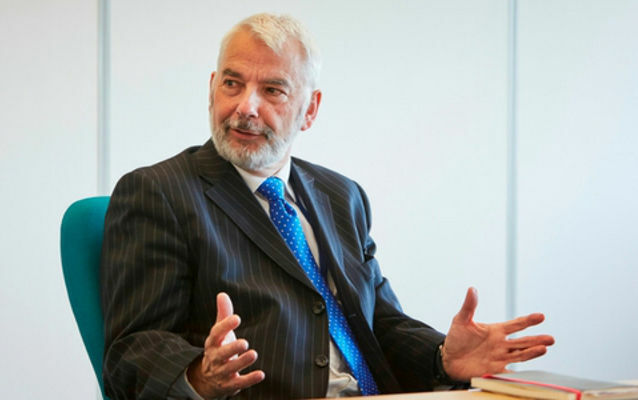 Hampshire police officers have passed a vote of no confidence against Police and Crime Commissioner Michael Lane, after it was revealed he would not be pumping any additional cash into front-line policing. Originally sent out to 2,800 cops across the county, it is understood 1,608 responded, with 98 per cent agreeing with the no confidence vote. However, despite the result, the vote – put forward by chairman of the Hampshire Police Federation John Apter – is not binding and won’t force the PCC out of office. “I care about our police officers and staff, and working to ensure people in Hampshire, the Isle of Wight, Portsmouth and Southampton are safer is my absolute priority. “I take the views of all police officers, including those who took the time to vote, extremely seriously and I will continue to work to build confidence and trust. The vote comes as Mr Lane was quizzed by the Hampshire Police and Crime Panel in Winchester. During the meeting, the commissioner revealed that thanks to the £12 precept tax increase, 50 policing posts were saved this year. The government gave Police and Crime Commissioners (PCCs) across the country the option, for the 2018/19 financial year, to increase precept by £1 a month per household – which Hampshire did. “The option for the £12 took away the issues that would have otherwise come about. “We needed all of that to avoid the cuts. However, it was also revealed that 122 additional posts were lost before the budget was set. However, despite the extra cash raised from the new precept, no new policing posts look to be on the horizon as the money is to be put in reserves. As reported, this comes after the commissioner announced plans to increase his office’s budget despite cuts to specialist policing roles. Test Valley borough councillor Ian Richards grilled Mr Lane about why no new officers will be joining the force, despite, he said, Surrey’s PCC announcing their force will be recruiting 200 new cops. “Some of my colleagues have decided to use a different risk profile while looking into their forces’ futures. At the meeting, Mr Lane also announced that: £9,000 has been spent on spit hoods; £1.6 million has been put towards mobile tech for response officers; put aside £800,000 for all officers to be equipped with a taser; and spent a further £800,000 on increasing armed officers across the county. 2 Comments on "Massive ‘No Confidence’ vote in Police and Crime Commissioner"
I always thought politicising the police was a bad idea. On the one hand they’re not actually that politicised – all the candidates say the same thing and promise the same. On the other hand, no one really knows these people, they take up police budget and you clearly get some numpties. I don’t agree with all the police’s priorities, but this system doesn’t work.